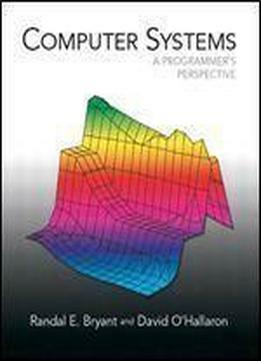 This book explains the important and enduring concepts underlying all computer systems, and shows the concrete ways that these ideas affect the correctness, performance, and utility of application programs. The book's concrete and hands-on approach will help readers understand what is going on “under the hood” of a computer system. This book focuses on the key concepts of basic network programming, program structure and execution, running programs on a system, and interaction and communication between programs. For anyone interested in computer organization and architecture as well as computer systems.